* and In Memoriam Members. In the Members Only section available to members after they log in, there is a Directory of Members that includes country of service. 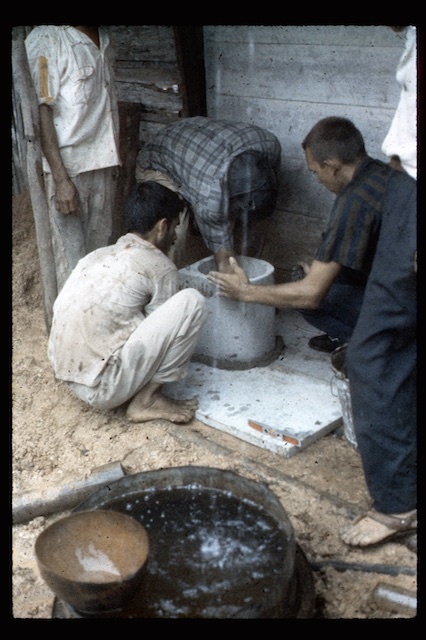 Below is a 1964 picture of PCV Hancock (Today's RPCVSF Treasurer & Webmaster) helping to install a latrine, which when the toilet seat is installed, will be ready for action.